I have a couple of guests cards today 🙂 Please enjoy the Winter cards made by Trish Cudney of MN, where it’s still Winter as well as in IL! My guest will be following, but I wanted to give her credit for CASEing her card. It can be found here. Scroll down until you find Trish Cudney. There you will find a card very similar to mine 🙂 Thanks Trish, you may have also CASEd your card, but I still think it’s a great! 🙂 Trish’s card is from last year, 2017. For this card I used Cabin Fever, by Carta Bella. If you can’t find the actual printed product, you can find it here, in digital form, from SnapClickSupply, at the bottom of the page 🙂 I also used Stampin’ Up! Chocolate Chip and Soft Suede cardstock. Please note that I receive no compensation from SAS4Kids, where I am a volunteer. I also receive no compensation from websites, stores or brands. 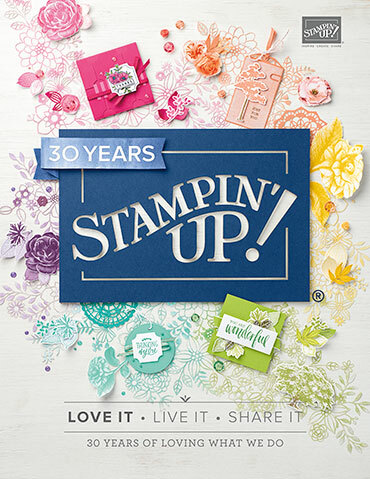 I do sell Stampin’ Up! products, but that is the only compensation I receive. Next I have some great cards from repeat donor, Lee Mae Elkins from WA. I know you’ll enjoy her cards! 🙂 Click on them to see their sentiments 😉 Here are some Christmas/Winter Birthdays! Hi Ladies 🙂 Some of you know that I have a personal card share with a senior center. For those of you who don’t know, it is in no way part of Send A Smile 4 Kids! This is personal in honor of my mother who has passed. My Mother lived in the same town since I was born, more than 50 years! My siblings and I all grew up there. My brother still lives in the same house. I’ve decided to share some of these cards with you so you can see how I make cards that are flat for mailing 🙂 You can send me cards for “my” seniors, but, of course, you don’t “have” to. This is not part of SAS4Kids! Winter, Christmas, Valentines, Spring, Easter, Patriotic, Summer, Fall, Thanksgiving, Get Well, Sympathy, Miss You, Hi/Hello, Thinking of you, or Birthday. All cards are blank. I love how the first card came out! 🙂 It’s a layout I use a lot, but it’s so pretty with the pinks and gold. I used a paper pad from Michaels, Recollections,” Sugarblush.” It has pink Santa’s that I’m using for the kids 🙂 I used two gold cardstock papers that I bought at Micheals in the individual section. I also used Stampin’ Up! Melon Mambo, and their new snowflakes that are available from Nov. 1st to Nov. 30th only. I can help you order them if you don’t have a demo 🙂 I also used all Stampin’ Up! punches and dies. The sentiments were printed on my computer. This card is the same layout as the first pink one above. I think it still needs something, a snowflake? Suggestions? I was thinking boy, Winter, Birthday 🙂 I used a Birthday die from Stampin’ Up!, and all Stampin’ Up! cardstock. The printed paper is from a stack by Carta Bella, called Cabin Fever, I love this paper stack. If you can’t find the paper anymore, you can get it digital from Snap Click Supply. I used the digital 6×6 paper #1&2. I have a nice Cannon printer and I used Matte, photo paper.